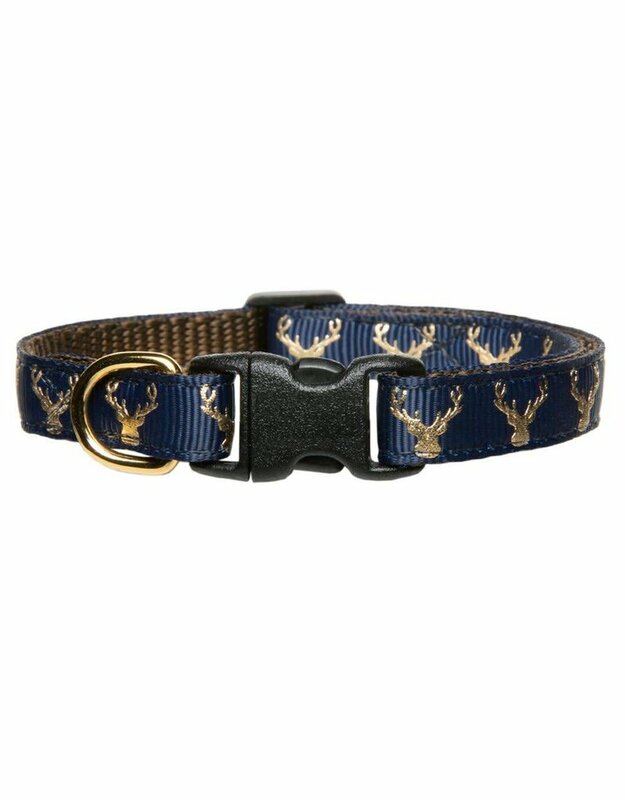 The Big League cat collar features traditional gold deer on Navy. The perfect look for the cat with a love for adventure. All of our collars are handcrafted with love in Portland, Oregon. 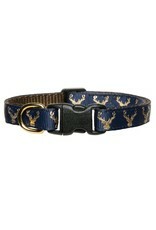 All collars are made of high-quality webbing for durability, covered with hand selected ribbon. We use high-end D-rings and durable hardware that secures easily into place. We also double stitch stress points; making our collars both sturdy and gorgeous.